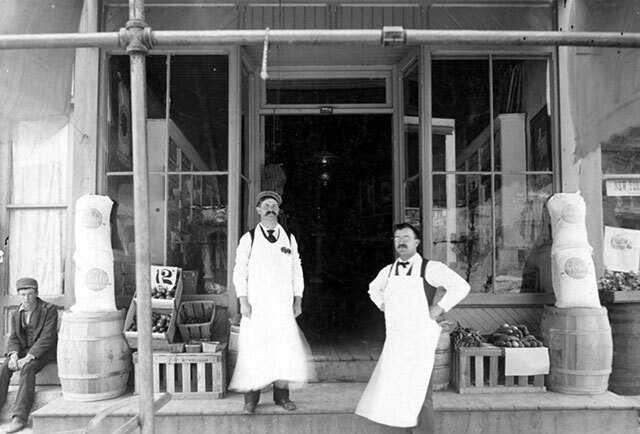 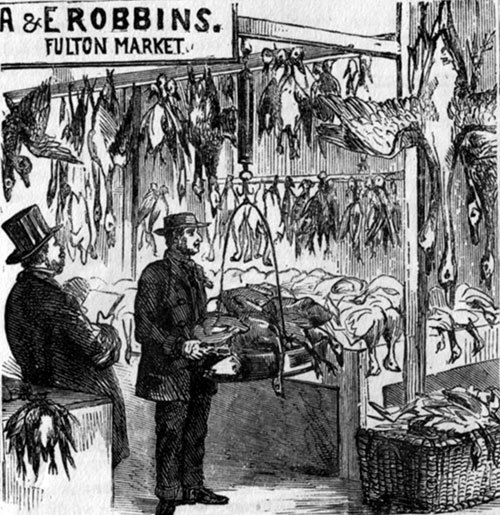 Provisions dealers were grocers who catered to larger businesses like hotels and restaurants or ships preparing for voyages.They provided meats, vegetables and sundries. 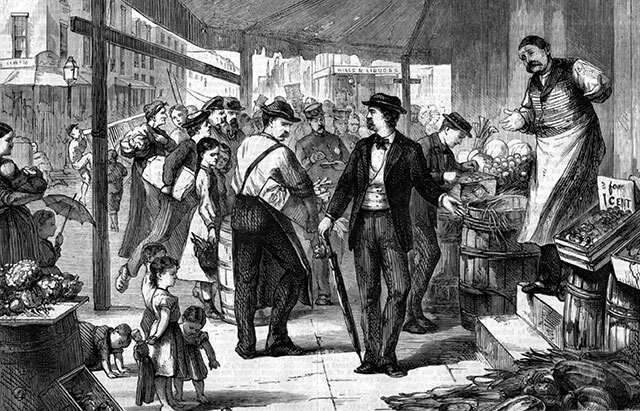 Sometimes a hotel or restaurant owner went to the various city markets to purchase victuals. 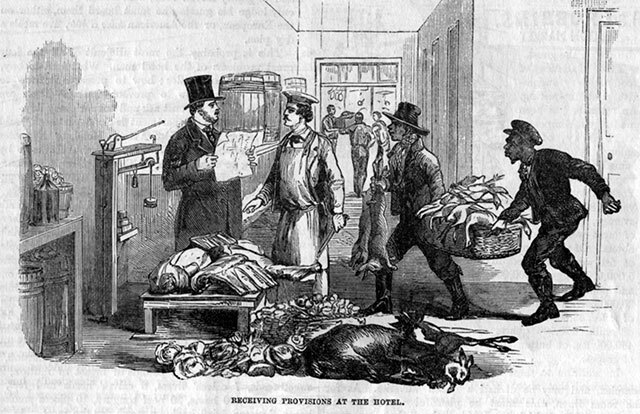 The illustration shows "the inspector examining the stock of a small grocer in one of the poorer quarters of the city."